The Jamie Oliver Group has instructed CAPA to conduct a property and accounts payable audit on 60 stores and restaurants across the chain. The Jamie’s Italian chain entered a company voluntary arrangement (CVA) in the beginning of 2018, led by business recovery and turnaround specialists AlixPartners, to reshape the business. The CVA secured the backing of creditors to cut rent costs across the outlets and restructure some rent bills to be paid monthly rather than quarterly. Closures of 12 sites were included in the wider restructuring plan. Like other casual dining chains, the business had been affected by rents, rates, the decline of the high street, food costs and the minimum wage. The Jamie Oliver Group has now instructed CAPA to undertake the property and invoice audit on the 60 restaurants and stores. It marks one of CAPA’s ‘live’ instructions - meaning the teams will be working on sites that are trading solvently, rather than after a liquidation or administration. 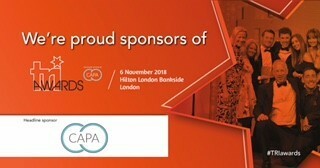 The appointment means CAPA’s expert team will undertake a forensic audit of sums paid out across the properties, including utility bills and other elements. The team will use bespoke software to inspect the data and uncover errors or any anomalies, such as overspend, that will enable them to recover cash for the Jamie Oliver Group. They will also inspect data on invoices paid out across the sites to suppliers, to then identify any errors and recover further sums for the group.